"Life isn't a tiptoe through the tulips." I'm not even sure fairies are small enough to gracefully tiptoe between the tons of tulips at Longwood Gardens! Love live flowers, any flowers! It most certainly is not a tip toe through tulips. A very pretty picture! Tulips are so beautiful - especially when there are so many. Love the new blog layout! I just noticed. Cute tree! Tulips are such beautiful flowers. Thanks for hosting Kristin. 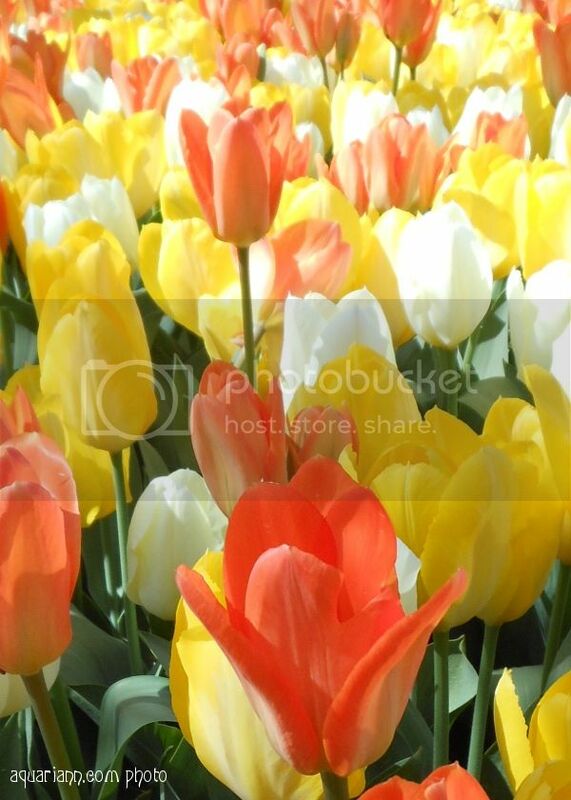 Lovely mixture of red and yellow tulips. Thanks for stopping by. Your tulips are splendid, while mine are MIA. Beautiful flowers! I love spring blooms! I love tulips. Happy WW, have a great day. LOVE the colours here... Very nice!! That's definitely a lot of tulips!! Wonderful colors. I love tulips. That color combination is incredibly beautiful!! Awesome picture! WOW!!! The colours are so pretty! Beautiful capture, Kristin! Such beautiful colors. Our Tulip Festival just ended in our corner of the world. Tulips are so beautiful. Their vivid colors have a way of brightening my day. Lovely photo to share with your friends on WW! Beautiful shot! Love the colors and the composition. Spring!!!! Colors and flowers, lovely! What gorgeous colors! Love them! Amazingly beautiful. Makes me feel like spring might come, once this rain passes. I love your blog redesign! The tree is gorgeous. Your tulips are beautiful too! Those are really beautiful tulips! My favorite flower! The colors are gorgeous! So pretty, but I am noticing the new blog look more! Looks fantastic! Gorgeous photo the colours are so beautiful!